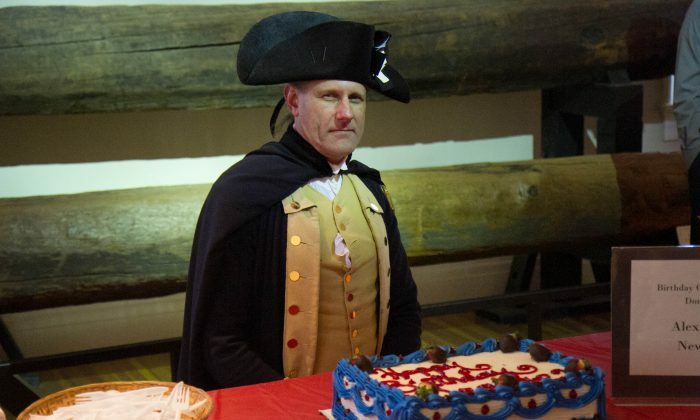 NEWBURGH/NEW WINDSOR—The 284th birthday of George Washington was celebrated at historic sites around Orange County with cake, military demonstrations, and other historical events and performances. George Washington had over 160 headquarters throughout the eight years of the Revolutionary War, but stayed in Newburgh for almost a year and a half, the longest of any of his headquarters. Just a few miles away, his army camped for the winter at the New Windsor Cantonment, where he later gave the cease-fire orders at the end of the war in 1783.